Sure, there are dog people and cat people (and we talked about the health benefits of being with a cat before), but whose heart does not leap in joy when a puppy comes waddling towards them. Dogs come in so many shapes and forms, sizes and colors, breeds and temperaments. But did you know that they are a strong support and boost for mental health as well? 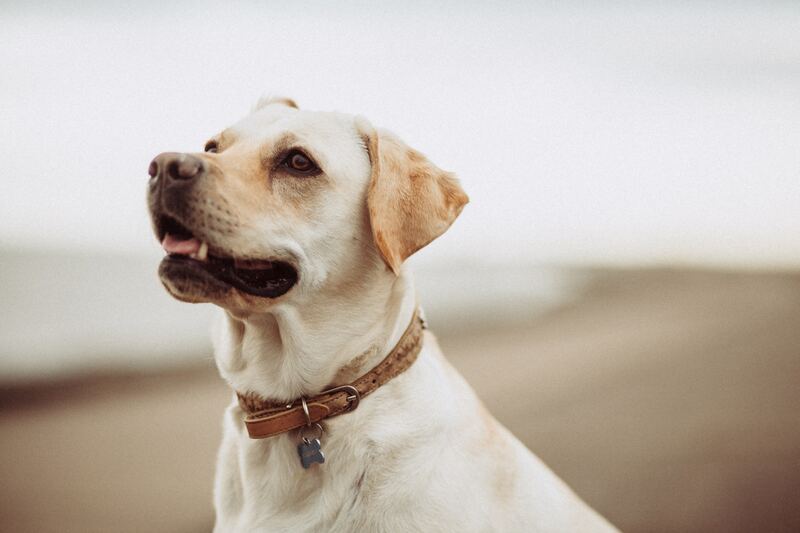 The people over at Dowgowner.co.uk created a whole series of well-researched articles about all kinds of health benefits that come with having a four-legged companion. Check out the short summary below and tune in with some dog-themed ambient mixes that will instantly make you feel less alone. Dogs bring so much more into your life than just a wet nose and a huge heart. They serve as emotional support and service dogs, can be the boost you need to get out of bed in the morning, teach you responsibility, love you unconditionally and so on and so forth. Below, we touch on some parts on how dogs improve your lifestyle and health, of course with links to the original articles. Also, check out our ambient noise suggestion for each chapter. Spending time with a dog lowers high blood pressure. Children that grew up with a dog are less prone to develop allergies. Owning a dog requires exercising since they need a lot of time outside. People with dogs are usually more sociable and have more social interactions. Being around a dog generally lifts your mood and induces positive feelings. Taking care of a dog helps to form routines. The positive, non-judgmental nature of a dog can help with many of the conditions above. It is easier for many people to open up to a dog than to another human that might judge them or (unknowingly) respond with triggering behavior. Many dogs can sense when their handler feels down, sad, depressed, or has an anxiety attack. In these cases, they seek closeness, provide a comforting touch, and induce calmness in a stressful situation. Owning and taking care of a dog also comes with responsibilities. If a dog wants to be fed or needs to go outside, the handler has to act. They can not hide in bed or their apartment but are forced to take care of a living being and be part of the world outside. We know working dogs from the police, airports, hunters, or recovery after catastrophes. But there are more working dogs out there that help their human in their everyday life. The most well-known of those are definitely guide dogs for visually impaired people. But not only blind people are benefitting from well-trained service dogs. There are dogs that are able to foresee epileptic seizures so they can warn their handlers. Others are trained to aid veterans that suffer from PTSD. These working dogs above are usually grouped under the term service dogs. They are trained by professional charities or organizations and then handed out to their new owners. To be able to get a service dog, however, a lot of paperwork and medical documentation is needed. Not everyone is eligible to be assigned a service dog. An alternative is a so-called emotional support dog. There are some limitations as to where you can take such an animal since they don’t enjoy as much liberty as service dogs but in return, everyone with a physical or mental condition can get one. Since they mostly give comfort and emotional support, these dogs don’t have to go through a particular training. The freedom and liberties of such working dogs differ depending on your country. For those that can not have a dog on their own, there is still a way to benefit from the contact with these furry bundles of joy. Therapy dogs are often brought into hospitals, care homes or group sessions where struggling people are in dire need of the distraction and love a dog can provide. Even some schools and universities offer visits of therapy dogs for students that struggle with mental health issues, stress or other personal problems. Adults aren’t the only people that can benefit from having canine company. When children grow up with or have regular contact with dogs, it improves their social skills. Especially children that are on the spectrum of autism open up to a dog a lot easier than to another human. Having a dog teaches children to take responsibility for a living creature. Furthermore, the mostly calm nature of most dog breeds can help calm children suffering from ADHD. Dogs are also typically used as emotional support for children after traumatic experiences or with mental health issues. Studies have also shown that older people benefit a lot from owning a dog. The company of a dog makes them feel less lonely and prevents older people from falling into a depression since they have someone to take care of, who is there for them when hardly anyone else finds the time. Plus, they force their elderly handlers to stay an active part of the world outside of their homes. With regards to dementia and Alzeihemer’s, many studies have shown that regular contact with a dog can soothe patients, reduce aggressive behavior and lessen the stress and discomfort of patients.